Remember when I was talking about Yarn Swapping previously? Well my received yarn included some simply amazing 100% Bamboo yarn. 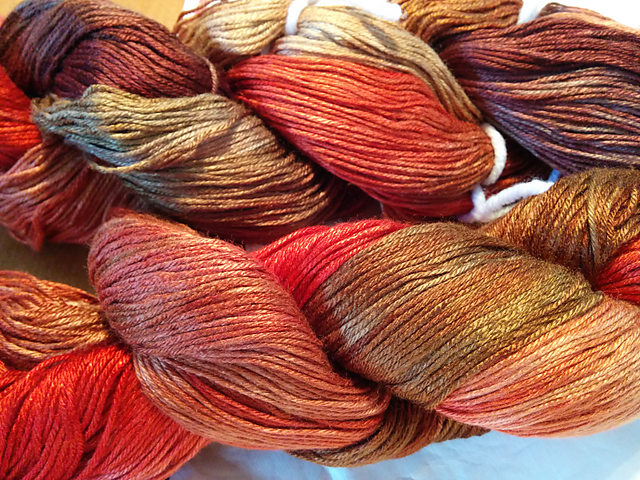 Its like they went out on an autumn drive, waved the yarn in the air and voila! So this got me and a few of my friends curious as to how exactly one makes Bamboo yarn. 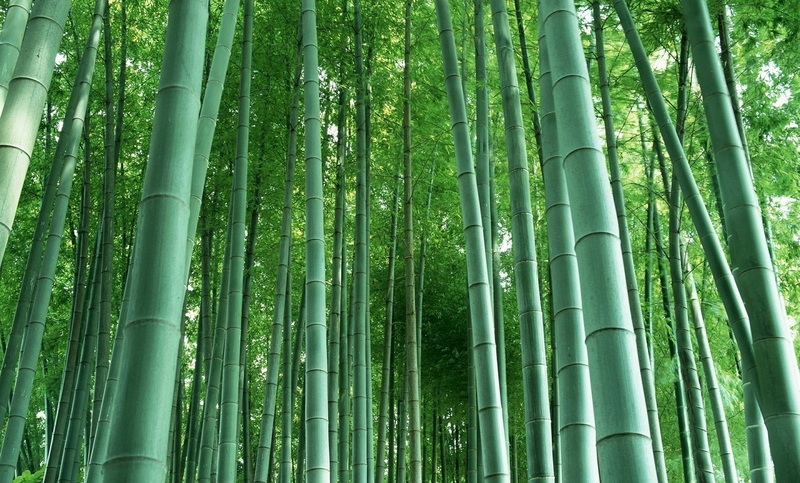 Consider if you will that Bamboo is indeed very woody in nature, even though it technically is a grass. How exactly do you get silky softness from that? Bamboo, staple of panda edibles and amazing wire work ninja fighting in the movies… and yarn. Well after some digging around… there are two ways to make bamboo yarn. One method is shared with making linen(flax), hemp and ramie plant based yarns.With that method, the fibrous material is soaked typically in water sometimes with added microbial help, to break down the outer hard layer and soften the under-layer of the stem, called the bast fibers. This is called retting. The long fibrous strands are then dried, and spun into yarn. Another method is used to make what gets classified as more of a semi-synthetic fiber, such as rayon(wood), modal(wood), viscose rayon (wood), Lyocell/Tencel (also wood), etc – apparently we wear a lot of trees. Wood you like to see my future yarn stash? In this method, chips of wood/chunks of bamboo/bits o’ cotton (didn’t see that non-wood one coming did you?) are treated to a chemical bath to break apart the cellulose fibers that make up the plant and dissolve them into a pulp. They can then be treated with other chemicals to add flame retardation or other desirable qualities if so desired. And then finally… the pulp is then extruded through spinnerets into an acid base that hardens the fiber strands to prepare them for spinning. Now… lest one of you points out that thus far I’ve only briefly mentioned the most famous of plant fibers… cotton yarn is not made using either of these methods. 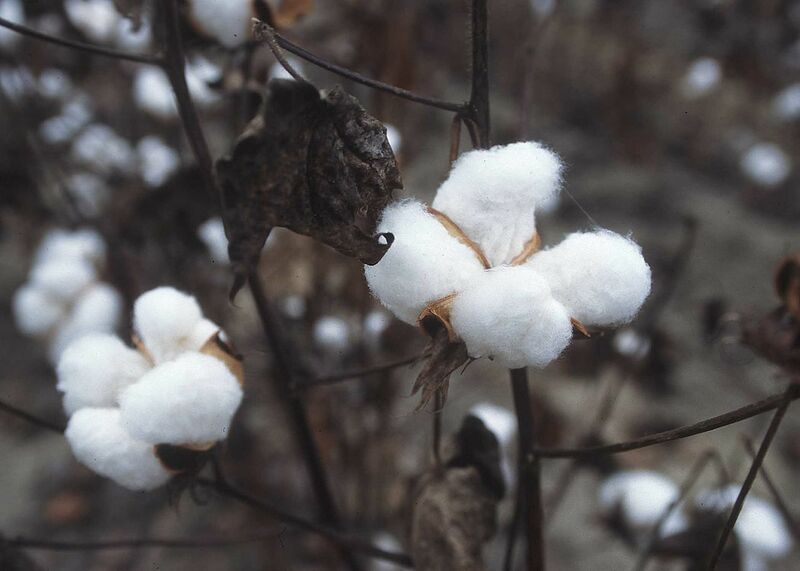 Cotton has natural cellulose chains. 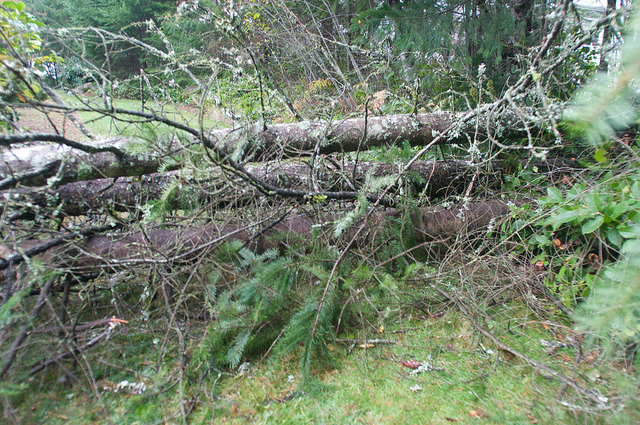 Whereas all the prior wood was only about 40-50% cellulose, cotton is 90%. Which means that you can comb/card and spin those fibers directly into yarn. Oh plants… so helpful in giving us yarns for our friends allergic to the animal fibers. To be clear I do not know which method was used to make my yarn.. and honestly it doesn’t really matter… its a beautiful gift and I can’t wait to knit with it! If I were to describe it… I’d say its like cotton and silk got together and had a love child.